Can The Golden Knights Stay Shiny In Season Two? 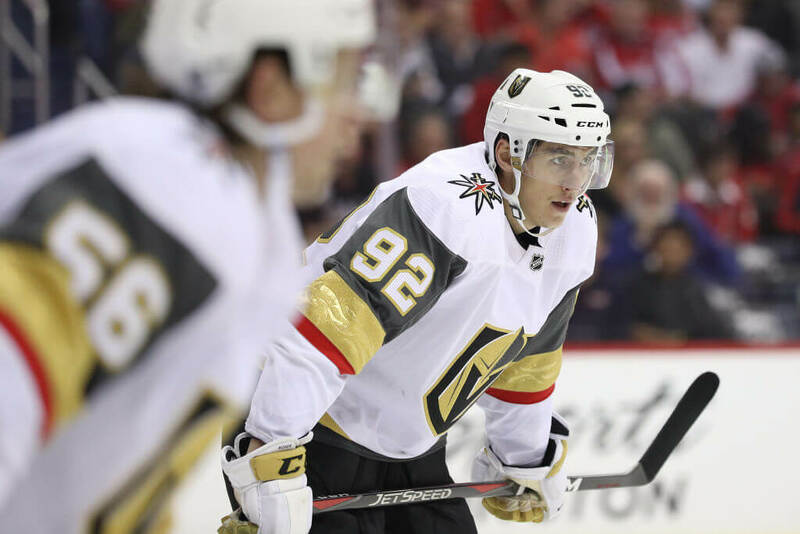 The Las Vegas Golden Knights shocked the sporting world when they reached the Stanley Cup Finals in their first year as a franchise. Heading into their second year, it’s safe to say expectation in sin city is at a record high. So far the team seems to be suffering from an all-nighter, and have lost three of their first four matches. What else can be said about the still young franchise? Are four games too early to panic in an 82 two season? Remember, sports seasons, except for football, are marathons and not sprints. A slow start can be overcome, especially if the team takes lots of Aspirin. The idea of the championship hangover is nothing new. The team that loses the Super Bowl rarely makes the playoffs the next season. This most famously happened with the Raiders, who lost to Tampa Bay in the Super Bowl, then collapsed the next season, finishing 4-12 and firing their head coach. It’s arguably happening to the Golden Knights right now. It’s not easy to have shortened offseason after a big playoff run. For the Knights, who are older and slower than most teams, it’s especially hard. They can bounce back. All the great teams do. They just need to remember what made them shine so bright last season and try to recapture that magic again. The sooner the better.